The Cork Traveller Women’s Network are a community development organisation, run by Traveller women and working for Traveller rights in the city. Our work involves supporting Traveller women as leaders, promoting Traveller health, advocating for Traveller accommodation and the promotion of Traveller culture and ethnicity. 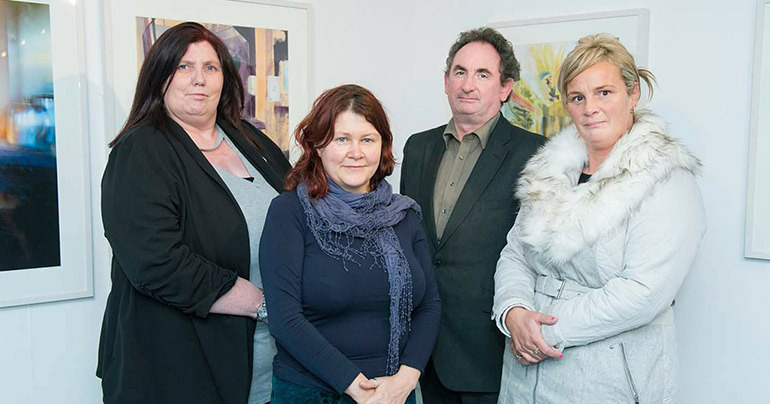 We support a network of Traveller women’s groups throughout the city as well as the Meelagh Traveller Community Centre. As part of our work to promote Traveller pride and awareness of the many positive contributions that Travellers to Irish society, the network was responsible for the “Barrel Top” Project that created a full sized traditional barreltop wagon during Cork’s tenure as European Capital of Culture. The Barrel top is now the centrepiece in “Toraig on the Tobar”, the Traveller Culture Exhibit at Cork Public Museum in Fitzgerald’s Park. Look out for us at Cork Traveller Pride Celebrations and the Cork city Lifelong Learning Festival in March.